Concrete spalling, or flaking or scaling, is concrete that has broken or flaked apart, generally as a result of faulty installation or the environment. It can appear on the surface as just a cosmetic problem, or it can show up as a result of deeper issues, such as damage to rebar beneath the surface. Concrete spalling is more common in colder climates, where the concrete endures freeze-thaw cycles. When concrete freezes, it expands, creating pressure. Eventually, breakage and pit marks start to occur. Deicing chemicals, which cars pick up on the road, also make spalling and pitting worse as they allow more water to enter the concrete and increase the size of the spalling. For this reason, in colder climates, spalling often occurs where cars are parked. If you live in a colder climate, your concrete might already be susceptible to this type of damage, but it is even more so if the concrete was installed improperly. All of this applies to decorative concrete as much as functional concrete. Because spalling can be a sign of deep, dangerous damage that can result in further issues, it’s important to repair spalling at the first sign of brokenness or flaking. But how about taking a step back further, and making sure your original concrete installation is done so that it prevents concrete spalling in the first place? Naturally, environmental factors are unpredictable, but there are certain steps that can be taken during construction to ensure that your concrete surface stays strong and reliable. To prevent spalling, focus on pouring concrete with just the right amount of water – keep the mix as dry as you can since a lot of water can weaken the concrete. A reliable paddle mixer can help you create concrete with just the right amount of ingredients. Give the concrete time to cure accurately. 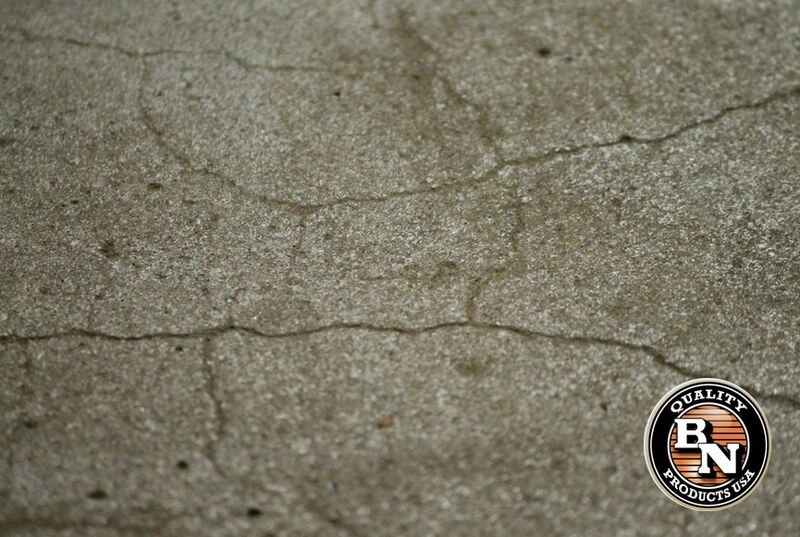 Coating concrete with a waterproof seal about a month after concrete placement can help prevent water-caused spalling. Other areas of concrete installation that might cause spalling involve hard-troweling the exterior of the concrete slab while water was still escaping. Any trapped water will develop a weakness between the surface and the below slab. Control joints, also known as contraction joints, are put into concrete slabs to control and prevent cracking. As concrete hardens, it shrinks. When this shrinkage is held back as the concrete comes into contact with soil, fill, other structures or rebar within the concrete, the concrete mixture establishes something called tensile stresses. Tensile stresses act out against fragile properties within the mixture, creating cracks. Control joints are used in specific, planned locations within the concrete to develop weak areas where concrete can crack – but in a straight line. Controlling cracks allows a construction developer to ensure the concrete surface ends up being smooth and aesthetically pleasing. The truth is that cracks are normal – they just tend to ruin the look of concrete (and its overall strength) by appearing in random places. Construction professionals use tools such as the Robo Joiner to create quick, easy, convenient and professional control joints. Control joints must be created at a 1/4 depth of the slab’s thickness. Joint spacing and depth are important factors regarding concrete crack control. To repair concrete spalling, you must have reliable chipping or grinding tools. You will need to chip or grind the weak concrete that has surfaced, but you don’t want to over -or-under-grind and cause further damage. After grinding away the weak concrete, clean the area thoroughly. This is where an air compressor or other tool that shoots out controlled, pressurized air can come in handy. After a thorough cleaning, resurface the area using a polymer-modified cement compound. If you’re really trying to prevent spalling in the future, make sure your compound is of good, reliable quality. After this overlay dries, seal the entire affected area with a waterproof sealer. This will help to prevent the spalling from occurring again. It’s important to understand where spalling comes from so that future concrete projects are created with avoiding this problem in mind. The problem can be repaired, but that doesn’t mean it won’t occur again, especially in colder climates. If control joints were not properly placed, cracking can also occur regardless of repairs you have done. When installing any concrete feature, it’s important to understand the chemistry behind concrete to ensure it is mixed properly. In addition, an experienced concrete professional should understand the importance of solid reinforcement and how to properly place control joints.